Another great organic shape in our Cluseau line. 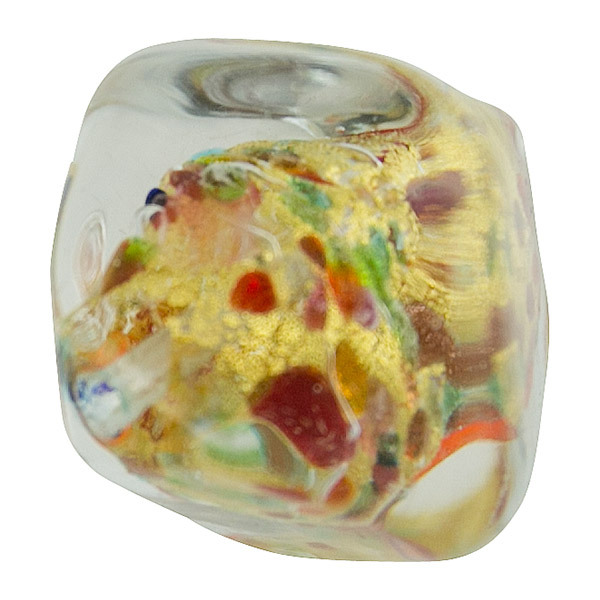 This is a pebble shape (has 6 sides) and is handformed with 24kt gold foil and sprinkles of multi colors of glass randomly across the base and then heavily laden with clear Murano Glass. 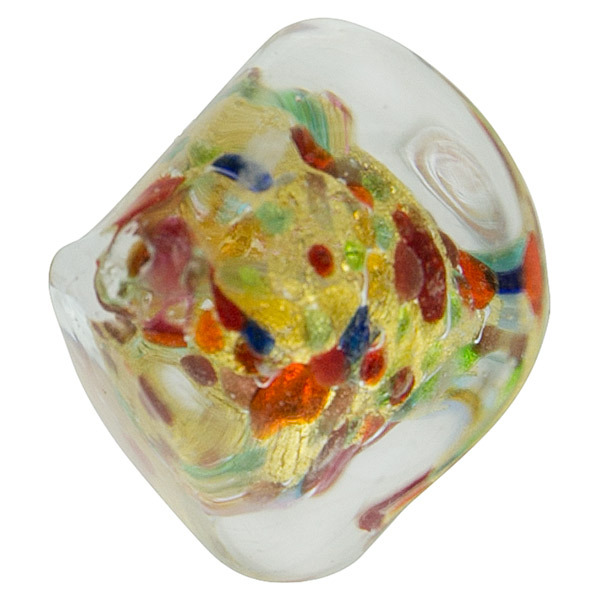 The size of these is approximately 25mm (1 inch) across and top to bottom. The hole is aproximately 1mm and runs top to bottom.